Currently viewing the tag: "Sept. 23 1960"
Downtown Sag Harbor in the afternoon, Sept. 22, 2010. Sag Harbor’s pier as the moon comes up on Sept. 22, 2010. Sag Harbor’s harbor as the sun comes up Sept. 23, 2010. Leaving Steinbeck’s driveway at dawn on Sept. 23, 2010. 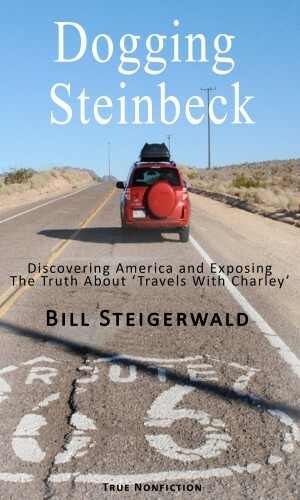 In the fall of 2010, when I retraced the road trip John Steinbeck made for his bestseller “Travels With Charley,” I took nearly 2,000 pictures of America and Americans. I took snapshots of people I met, places I went or things I thought were interesting, pretty, funny or stupid. I photographed many places Steinbeck mentions in “Travels With Charley” as well as hotels and homes he stayed at while on his 1960 journey. Steinbeck left his summer place in Sag Harbor, N.Y., on Sept. 23, 1960. Sag Harbor sidewalks Sept. 22, 2010. 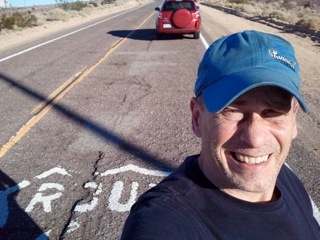 In the fall of 2010, when I retraced the road trip John Steinbeck made for his bestseller “Travels With Charley,” I took nearly 2,000 pictures of America and Americans.I took snapshots of people I met, places I went or things I thought were interesting, pretty, funny or stupid. I photographed many places Steinbeck mentions in “Travels With Charley” as well as hotels and homes he stayed at while on his 1960 journey.